US Ambassador Nikki Haley was determined to hold a Security Council meeting on the importance of human rights to international peace and security and it will happen on Tuesday but only after the US addressed objections from Russia, China and other council members. 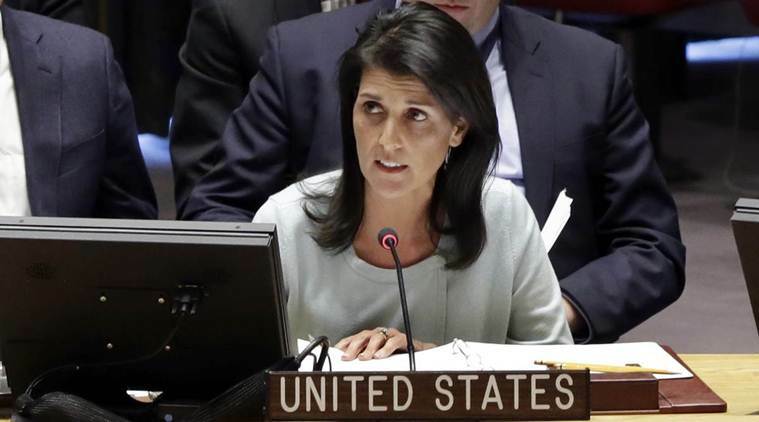 Haley told reporters at the start of the US presidency of the UN’s most powerful body in early April that she wanted a meeting that didn’t ‘point fingers at anyone’ but looked at underlying human rights issues that lead to conflict and unrest. He also argued that other UN bodies including the Geneva-based Human Rights Council and the General Assembly already deal with human rights. “Why are we taking everything to the Security Council? Then those bodies should be dismantled,” Iliichev said. Haley said the US wanted the debate on April 18, with Secretary-General Antonio Guterres briefing. But it wasn’t on the Security Council “program of work” for the month because that needs unanimous agreement of all 15 council members, which the US didn’t have. Since the late 1980s, the Security Council has focused on human rights issues as drivers in numerous situations, and it has authorised human rights experts and monitors for most of the UN peacekeeping and political missions it has authorised. The council, however, has never had a so-called “thematic debate” on human rights related to the Security Council’s main mission of promoting international peace and security. In order for the US to get its new agenda item approved it would have had to hold a procedural vote at the start of Tuesday’s meeting and get nine “yes” votes to go ahead. But council diplomats said it appeared the US might have only eight “yes” votes and seven “no” votes — Russia, China, Egypt, Bolivia, Ethiopia, Khazakhstan and possibly Senegal. So the United States agreed to a compromise.In a note on today’s meeting, the US Mission to the United Nations said yesterday it is being held under an old agenda item: “Maintenance of international peace and security,” with a focus on “human rights and prevention of armed conflict.” That means no procedural vote is required and all 15 council members are now on board with the debate(THE INDIAN EXPRESS,2017).